We are already in the second month of the year which means it is time to look back at the January monthly challenges. If you are new here: At the beginning of each month the challenges are announced. These challenges are for inspiring the entire Food Revolution team and to make deeper connections with everyone (fellow food ambassadors, friends and family, anyone who wants to be a part of this challenge too), share our stories , whether we failed or conquered and more. The idea is to complete as many challenges as one can (Read about the October , November and December challenges). Challenge 1: Download YOU-app. Jamie's been working on a new and exciting app called YOU-app. It focuses on four areas – food, mind, move, love – and is all about completing one micro action each day to help you live a happier, healthier life. I can't remember who said it but a fellow Food Ambassador said "it is like instagram with an intent" and I couldn't agree more. I have to admit ever since this app got launched the first thing I do each morning is to check the micro action of the day. Let me take you through the app. The app encourages you to make small changes in your life each day. It could be matter of your heart, mind or body. It is about enjoying the little things we do everyday for often little things are the ones that make the biggest differences in our lives. It is about taking notice of our beautiful surroundings that we often ignore because life takes over. It is about making a shift to real food because you need to but without making it difficult and yet indulging in whatever you heart fancies when you want to. It is about making memories and thanking the people who make your life complete and it is about a fitter, healthier, happier and a more positive YOU. This app has me giddy with excitement and if you have been following me on instagram where I share my YOUapp posts as well you will see how much fun I have been having. I'd love you guys to check it out and connect with me and the lovely community there. I am orangekitchens there as well. Read all about YOUapp and join here. 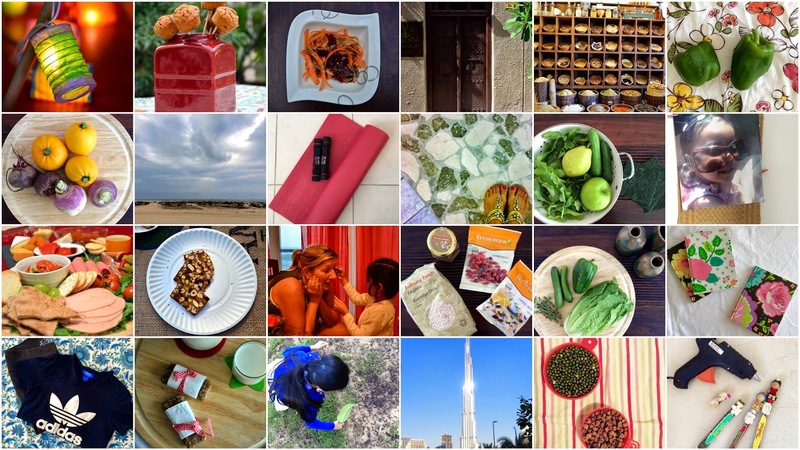 Challenge 2: 10 meals to kick-start a healthier 2015. This year we're helping you to kick-start a healthier new year with 10 delicious recipes from Jamie and his friends, plus loads of other helpful tips, ideas and inspiration. You don't need a New Year to kick start healthy eating but a New Year gives you a fresh plate to fill and I absolutely love new beginnings for they give us a chance to look back on how the last year was, an opportunity to start afresh, several new possibilities to grow, to learn and to experiment. So this year fill up your plate with foods you have never tried, cuisines you have never experienced, ingredients that have never said hello to your kitchen. Keep it healthy and keep it real. This Hit n run traybaked chicken we had earlier this month is a family favourite now. It took like all of five minutes to assemble and the oven did the rest of the work. It was bursting with the goodness and flavour of the bell peppers and tomatoes. We had it with some greens and some crusty bread to soak up all the ambre juice. Get the recipe here and get many more such recipes here. I love it when someone had already done the menu planning and given me the list of ingredients I need to buy too. Challenge 3: Share the Food Revolution Day! 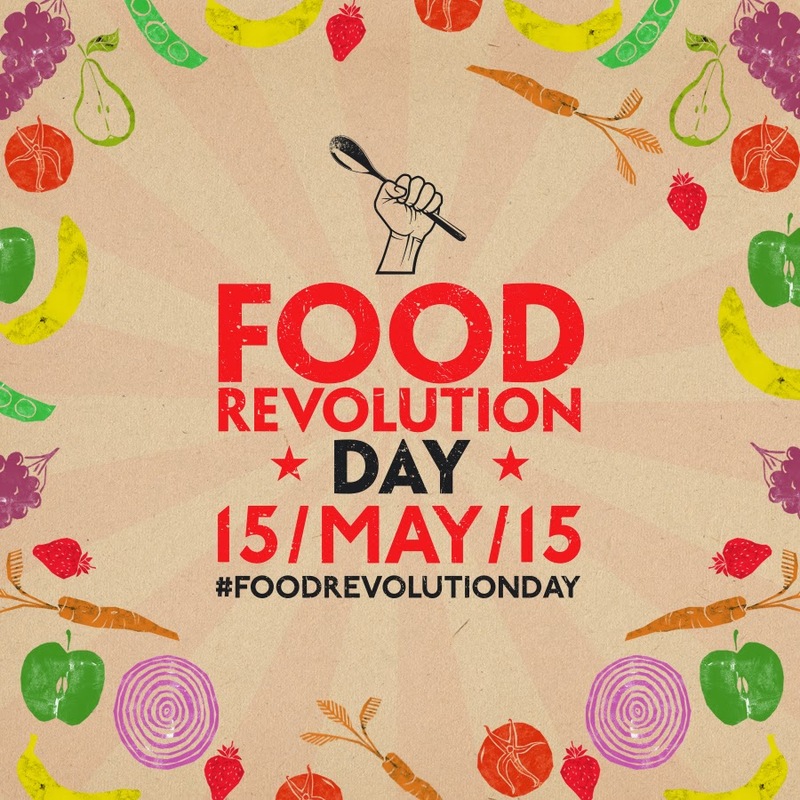 It's 2015, which means time to start thinking about this year’s Food Revolution Day on 15 May. Its about the little changes and the big ones. And the big one (which I earlier shared with you lovely readers on the Orange Kitchens FB page)has been announced. Yay! Food Revolution Day is going to be on the 15th of May this year. "Food Revolution Day is a global day of action for people to make a stand for good food and essential cooking skills. It's a chance for people to come together within their homes, schools, workplaces and communities to cook and share their kitchen skills, food knowledge and resources. Food Revolution Day aims to raise awareness about the importance of good food and better food education for everyone by focusing on three simple actions – cook it, share it, live it". I have put on my thinking cap, meeting and connecting with some lovely people already to plan for the big day and I'd love you all to spread the word around. Lets get our little ones into the kitchen and make some noise. But I am going to need your help. All you awesome parents, hardworking teachers, the enterprising teams running local businesses and restaurants, wonderful conscientious people who are behind the farmers’ markets, the ever giving community groups and organizations, the voice of Dubai; local newspapers, radio stations and magazines who would like to be a part of this or have ideas on what I can do for our kids at Dubai or are in position to help me spread the word around please get in touch with me. 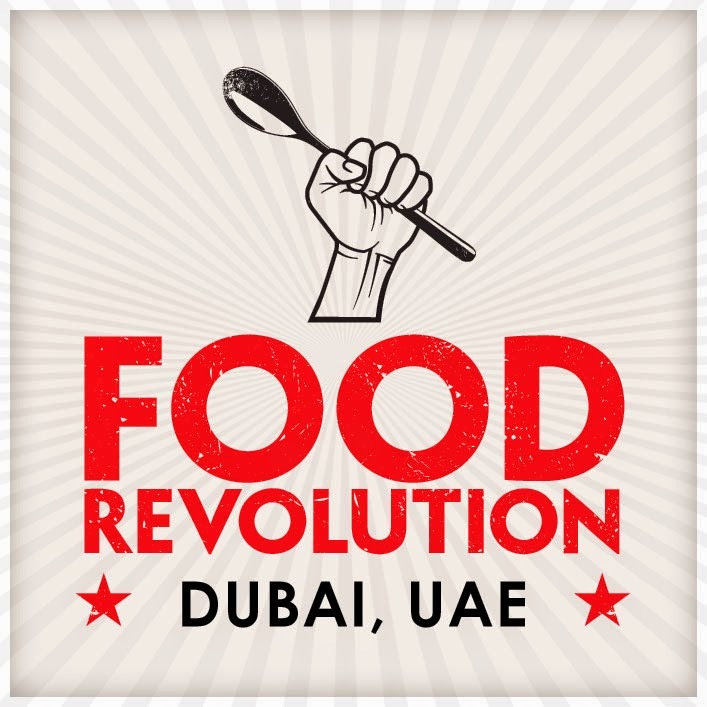 Let us make a difference in lives of our kids and bring about a Food Revolution at Dubai. 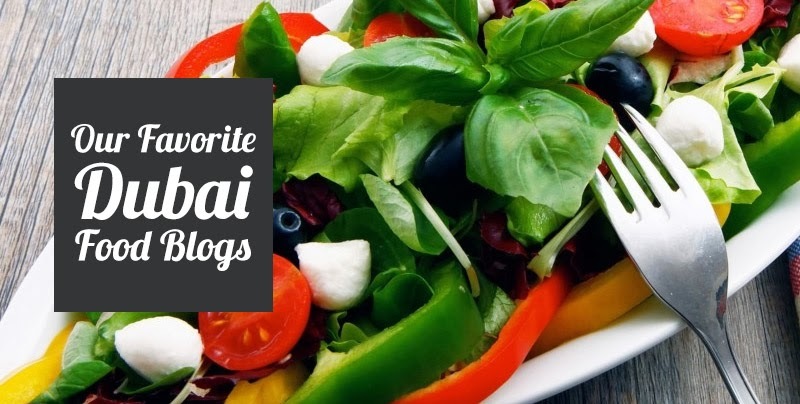 Wow Prachi.. your post so packed to the top with information and recipes I've been clicking all over the place. I love love every bit of it. Going to check out the app though I'm not sure I'll be able to stick to all of it.